455 New Cases Of Chikungunya In A Week In National Capital :- In the past week, On Monday health officials said that around 455 new cases of chikungunya were recorded in Delhi, as the mosquito-borne disease that causes debilitating joint pain threatened to replace dengue as the most widespread monsoon ailment of the National Capital. Officials said that in last week, 412 new cases of chikungunya were reported, taking the total number of chikungunya cases this year to 432. The same period saw 176 new cases of dengue, taking the number to 487 this year. Two of them have died. 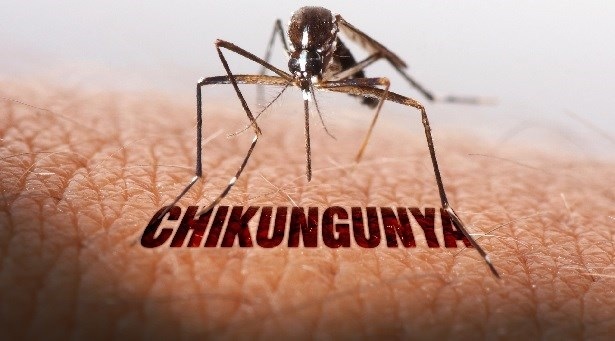 Though both diseases are spread by the aedes mosquito which bite in the day light, fatalities are rare in chikungunya and patients hardly need hospitalisation. The disease also causes fever, acute joint pain and swelling. Municipal Health officer – Dr. D K Seth said that It is not an outbreak but an unusually high number of cases because of a high pool of people infected and low immunity as people in Delhi have not been exposed to the infection. Chikungunya has hit almost every home in Jaunapur in South Delhi area. Manjit Singh Kalha, 41, who is the Charter Accountant said that he could not get out of bed for four days since 20th August. He said that the pain was intolerable and I could not work for a week. Jaunapur Residents’ Welfare Association’s Joint Secretary – Shivani Wazir blamed that uncleared garbage dumps and low-lying land full of rainwater are responsible for the disease. However, The Municipal Council of Delhi accused hospitals of reporting cases late. The Health Officer said that the data is not real time. Hospitals send data after a patient has been treated and discharged, so backlog cases are added all at once.